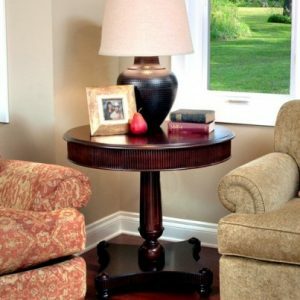 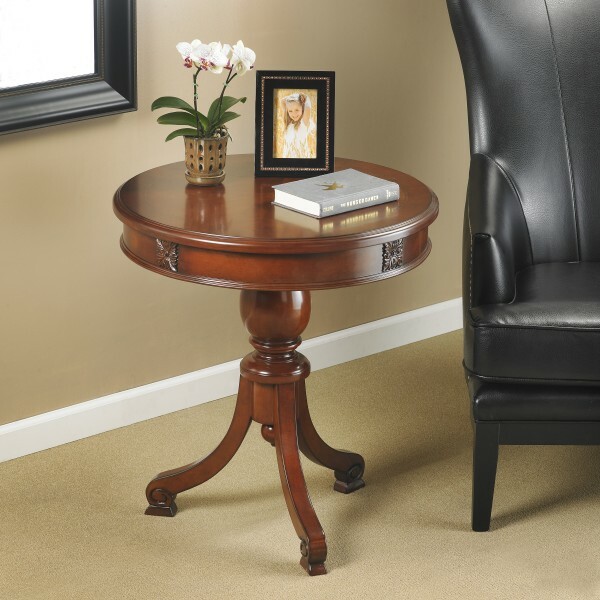 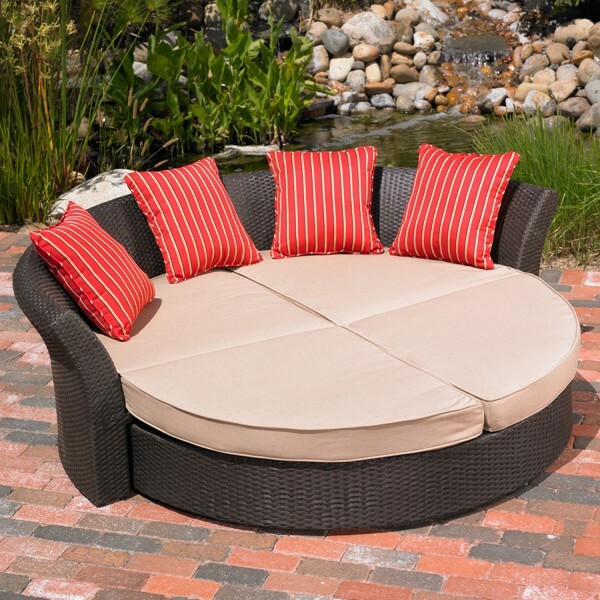 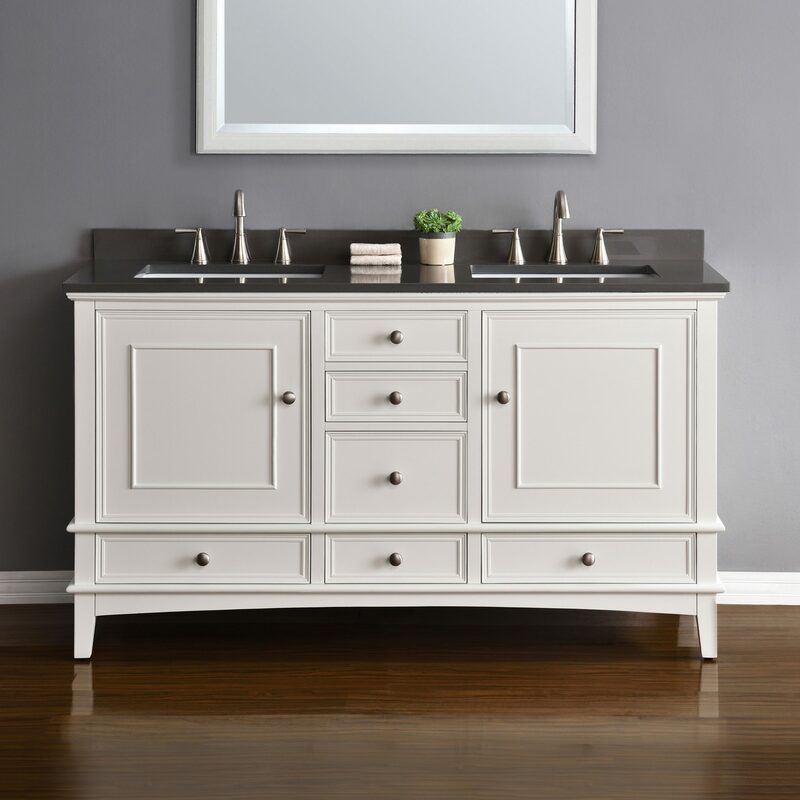 Quality, function and design come together in the Cambridge collection by Mission Hills®. 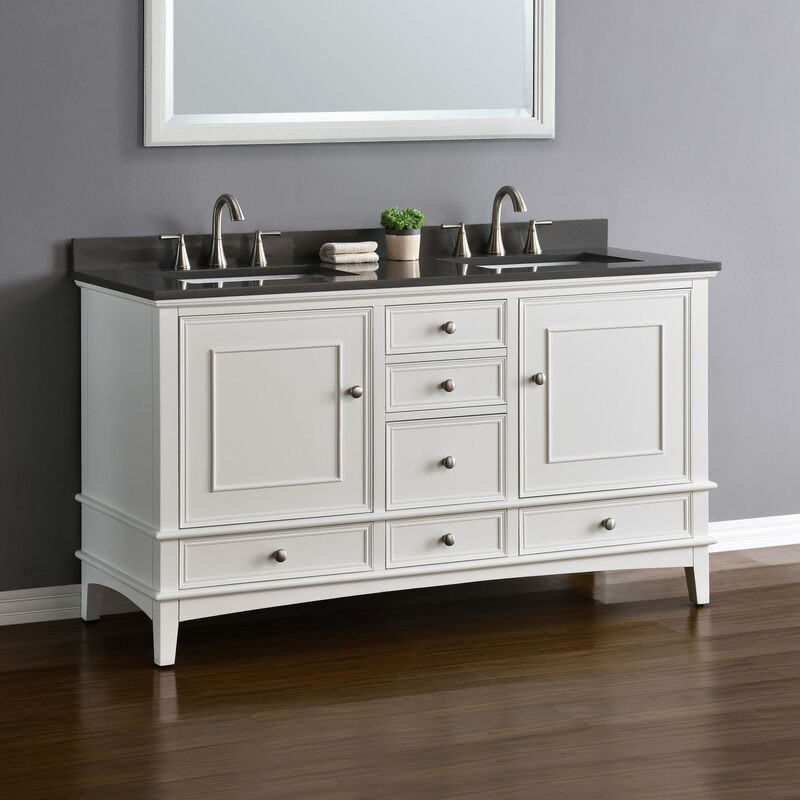 This popular design is now available with a traditional white cabinet topped with a gray quartz countertop. 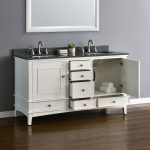 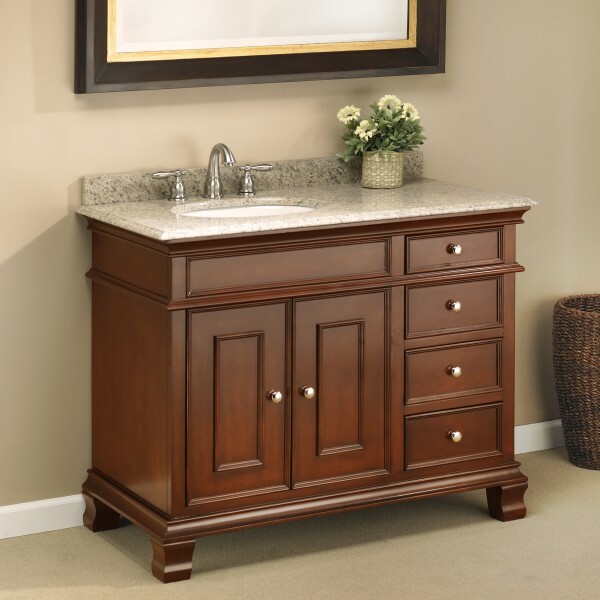 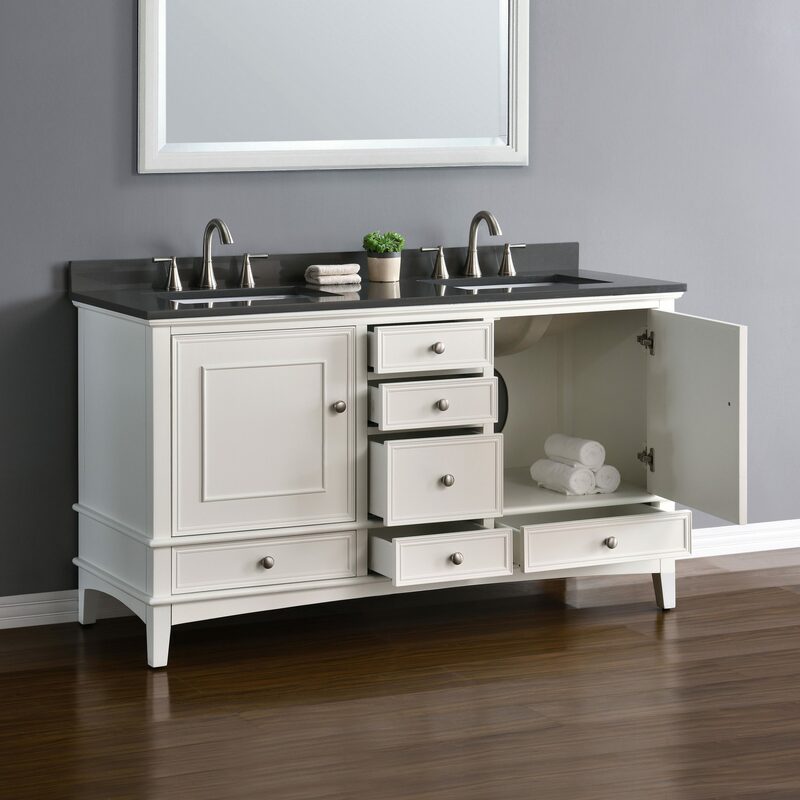 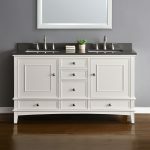 The transitional design has ample storage space for all your bathroom necessities. 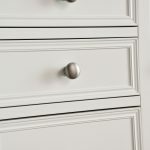 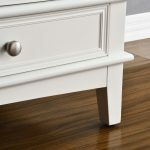 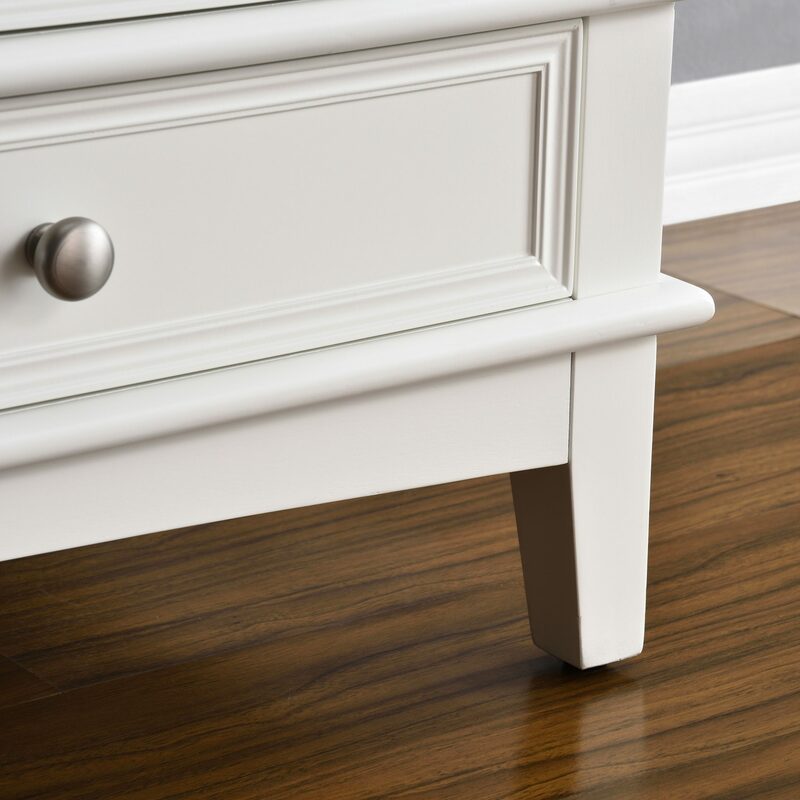 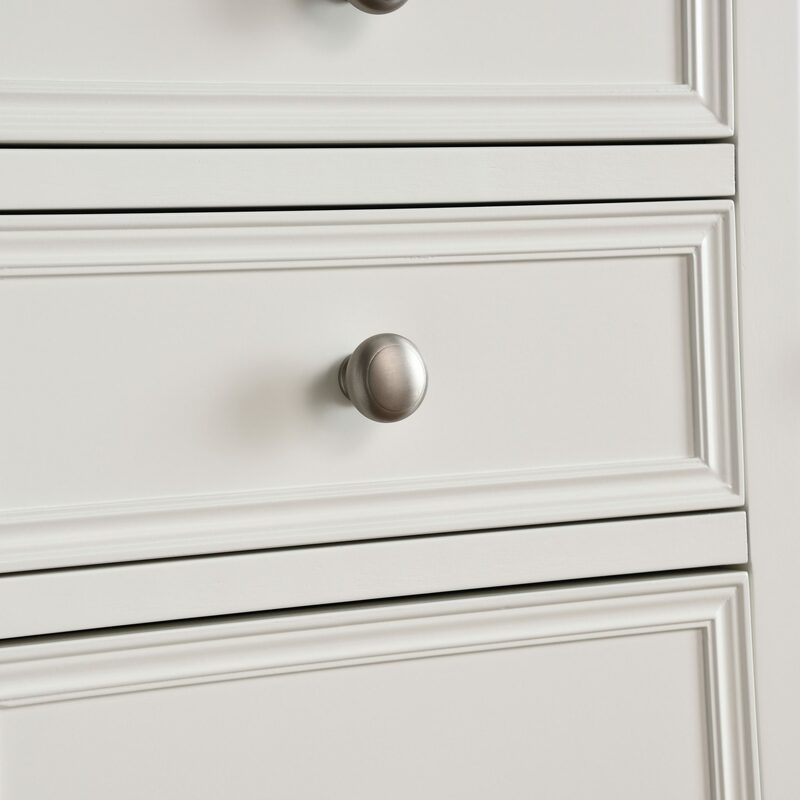 Six functional drawers with soft close glides and two doors with soft close hinges are all fitted with brushed nickel-plated hardware. Quartz countertops are extremely durable and require very little maintenance, making them a popular choice for bathrooms. 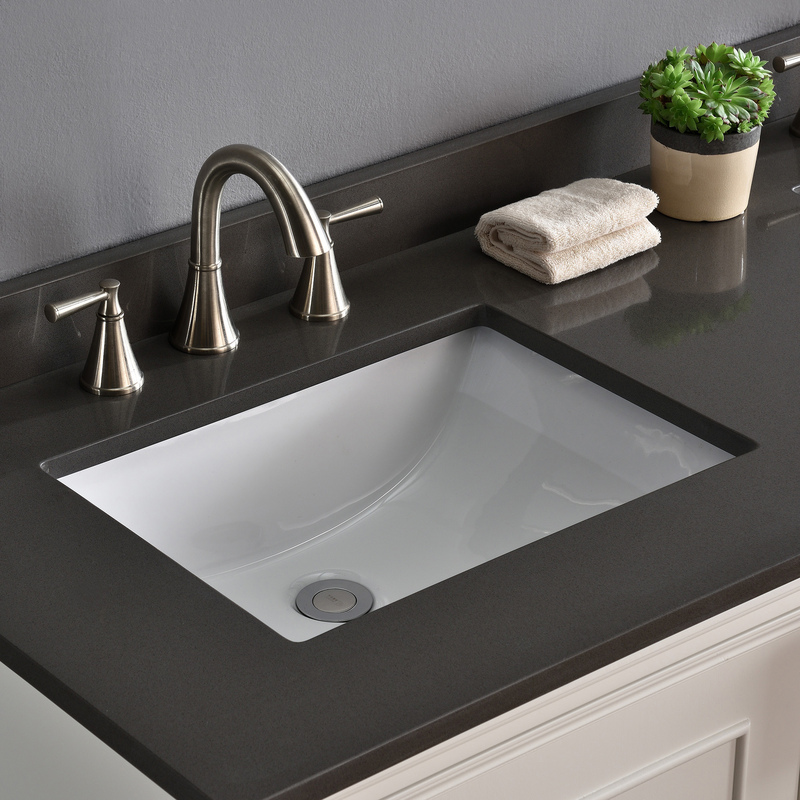 The beautiful gray countertops are pre-drilled for faucets with 8” spacing and feature two under-mounted CSA rated rectangular porcelain sinks. 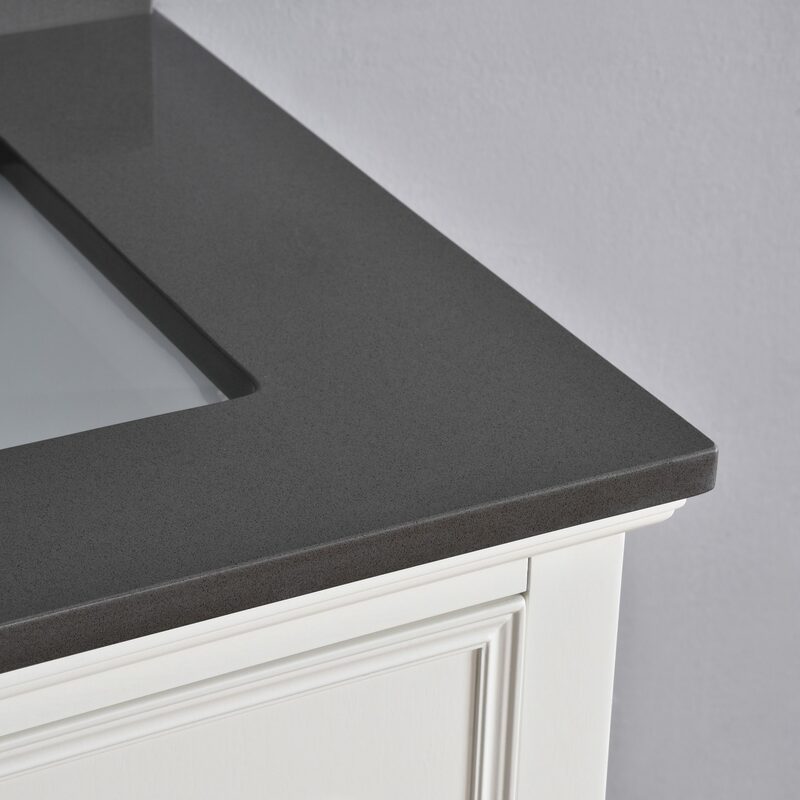 A matching 3” quartz backsplash is included.